Giving the gift of clothes is not an easy process. You have to find the perfect design, decide what size to buy, second-guess that size right up to the moment you hand it over and then hope the recipient likes your choice. You know what I’m talking about? And that doesn’t even include sourcing the perfect gift-wrap and card for the occasion! Tiny Bitz has taken the stress out of all those decisions with their innovative online store that specialises in gifts for babies and young kids. 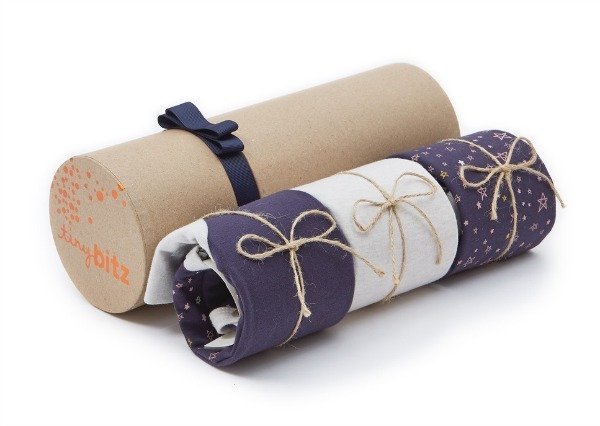 Tiny Bitz is a children’s lifestyle brand featuring clothes, blankets and sleeping bags that are designed in-house as well as hand-knitted toys sourced from rural Bangladesh. Fashion and marketing gurus, Sera and Petina, started the business after finding a huge gap in the market when they hunted high and low for the perfect gift for their nieces. Their solution – grow sets. They’re practical, affordable and literally grow with your baby. Growing Kit sets feature short or long sleeve onesies in three different sizes as well as a sleeping bag, blanket and a bib. 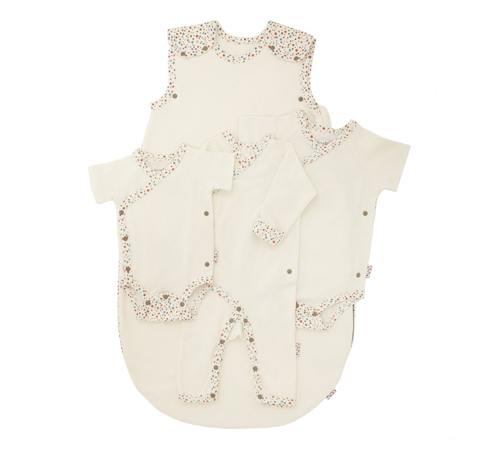 It is as simple as browsing through the designs you like (we can’t go past the Tiny Dots signature print but the Twinkly Nights print is pretty awesome too) and choosing summer or winter baby so the outfits match the season. How brilliant is that? Tiny Bitz really have thought of everything. Not only will your recipient receive a thoughtful gift, all ‘Wiggle and Wear Sets’ come with complimentary packaging. Now we aren’t talking stock standard packaging here, Tiny Bitz signature gift packaging is beyond beautiful. Each piece is personally rolled and tied with string and then packed inside a cylinder gift box. 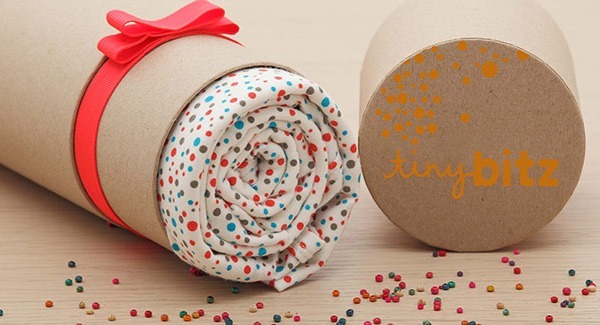 Tiny Bitz gift sets are gifts you can get excited about sending. You can shop online to buy Tiny Bitz products. Perfect for gifts you want to send in the mail, Tiny Bitz ship internationally.